The NRX 1089-4 is perhaps the finest pure-casting saltwater 9-wt on the market. Lightness, line speed and accuracy are simply unsurpassed. After casting the 8-wt in this series, I went straight back to the rack for the 9-wt. I had to know whether Rajeff successfully replicated the feel of the 8-wt in the other models. Yes, he did. Every saltwater rod in the NRX Series has the same super light, elastic, power casting characteristics. 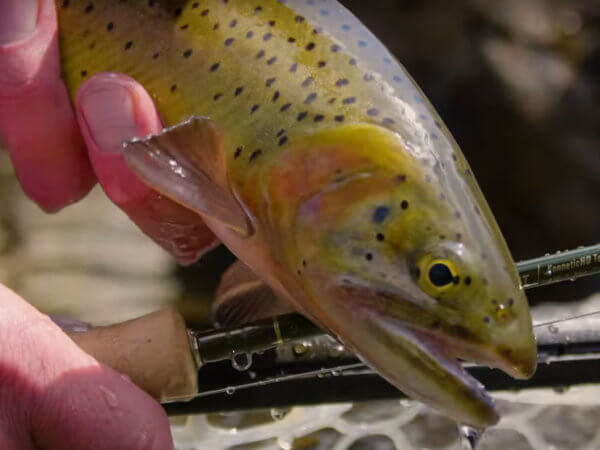 These are very special fly rods. For the NRX 1089-4, I strongly recommend a saltwater line with a full weight forward head, rather than a short headed line. This rod loads so easily that the caster will gain more control and velocity with a slightly longer head. The Rio Bonefish and SA Sharkwave Saltwater lines are excellent choices.